This week I had a customer, who wanted to convert a shared mailbox to a regular mailbox, on an Exchange 2016 server. Active Directory operation failed on FQDN.domain.local. The password is invalid. Unable to update the password. The value provided for the new password does not meet the length, complexity, of history requirements of the domain. This means there us something wrong with the password used for this mailbox. 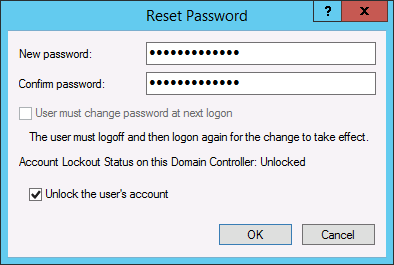 Change the password for the shared mailbox, and try the PowerShell command again, it will now succeed ! The mailbox is now converted to a regular mailbox. How do you change the password for a shared mailbox? A shared mailbox doesn’t need a license, and doesn’t have a password. When you need a password for a mailbox, this needs to be normal user mailbox.